Here's a fun activity that we did to help Maddie (3.5y) practice her cutting skills as well as talking and learning about shapes at the same time. Draw lines along the coloured paper strips for your child to cut along. Draw the lines so that different shapes will be made when cut. You can do this part with or without your child there. We did the drawing of the lines/shapes together as there was a lot of learning to be observed. The only lines we measured were that of the squares. Take this time to talk about shapes and how we identify them. eg. Squares always have 4 sides and 4 angles that are all equal. What other observations can you or your child make while setting up? She is improving all the time. It is still hard for her to manipulate the paper to always get the correct angles but practice makes perfect! When we had one of each shape (I provided the circles already precut this time) we made a little poster together to also include some literacy learning. While she worked on cutting practice, she was able to see, read and recognise the shapes and their names. Once she'd cut as many shapes as she wanted, she used them and the marker to create a little shape collage. - Simplify this activity by providing basic straight lines for your child to practice cutting. You don't need to focus on shapes you can just concentrate on the fine motor, hand-eye coordination required to cut along a line. Save curved lines for another time. - Extend this activity by having your child measure and draw the lines in themselves. Challenge them to create one cohesive picture out of the shapes. Older children can also identify and make a shape poster themselves. - Use new language and descriptive words like, "semi-circle" or "manipulation." This will help with their language development. Love the idea of turning the cut shapes into a picture at the end! Very cute. Oh Debs I love this! I've just bought Miss Daisy (2.5) her first set of scissors! Can't wait to get started, I think I'll put them in her Christmas stocking! :) Will definitely be using this idea! Thanks! So many children arrive at school still having difficulty using scissors or they need help with fine motor skills. This post is brilliant and a wonderful idea for all parents. Great work. This is such a fun way for kids to practise cutting skills. We sue strips like these on our Montessori trays - the short cutting lines make all the difference. I love the extension of the collages too. So much fun! Miss Possum needs more cutting practise before she goes to school so this has come at a great time! Pebble really enjoyed using scissors at child care last week, it reminded me to get them out at home too. Thanks for these fun ideas. Great! Very developmentally appropriate and my son loves to use scraps of things and glue so I think he'd be really motivated by this. Thanks for the ideas! What a great idea! Will be using this in a week or so when we start learning about shapes! Lots of fun and learning here Debs! We used to do very similar activities when i worked in kindy rooms and they never grew tired of them! This is a lovely extension of cutting a line. I think it will be a bit of a challenge for Jack but he loves cutting so much that I know he will enjoy it. I think JDaniel would love to create his own lines. This is an excellent activity for the littles. I often see children who are aged five or older that cannot hold scissors correctly. 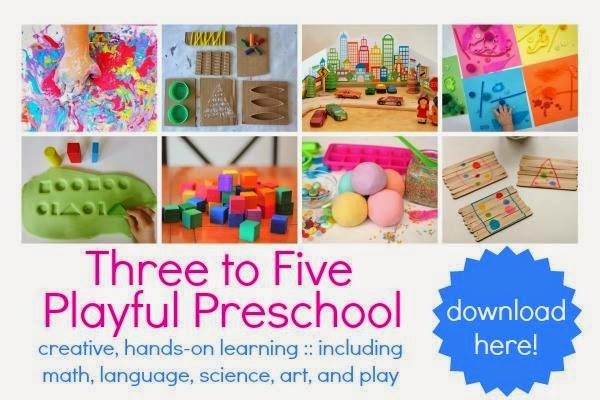 Perfect activity for fine motor skills, eye hand coordination, language learning and it ends with a fun creative flourish!